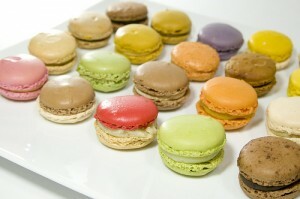 Colorful and cute French sweet, macaron has been very popular in Japan in the past few years. To explain simply, a macaron is a meringue cookie sandwich filled with cream or butter. 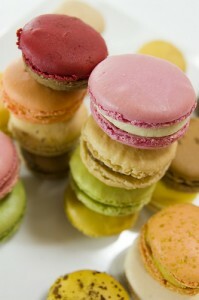 Although in early 2000s, not so many Japanese people knew what macaron is, it’s been like a common sweet lately. 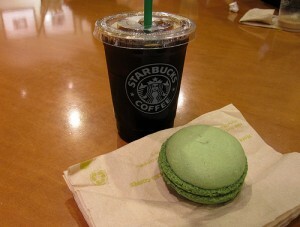 You can get macarons at convenience stores and at coffee shops. The Starbucks serves a few different flavors of macarons. Since home-made macaron recipes are often introduced on magazines, TV shows and websites, women often make some at home especially for special occasions like Valentine’s Day or Christmas. 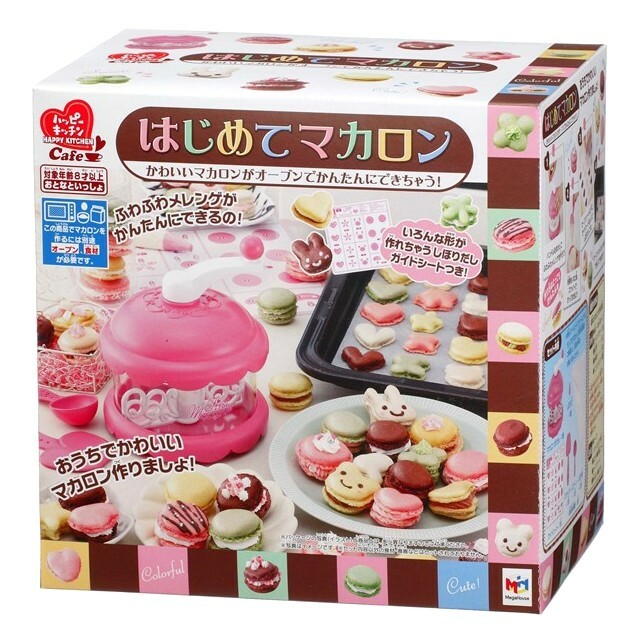 Now, even children can make macarons with this macaron making toy released from MegaHouse, a Japanese toy company. It’s called “Hajimete Macaron (First time Macaron)”. I saw a review written by a mother of 11 year-old who made macarons with this toy. She said it was fun and the macarons came out really pretty. I saw the pictures too but they look like store bought ones, really beautiful.